Modern beer drinkers may be surprised to discover that the tradition of beer in Germany was founded on ale rather than lager. Blond lagers presently command around two-thirds of the entire German beer market, but we need to look a long way back in history to discover German beer origins. Historians and archaeologists have uncovered three thousand years of German brewing heritage, and prior to the 16th century all beer produced in Germany was ale. Traditionally, at least until around the 8th century, beer was brewed almost entirely in the home, overseen by tribal hausfraus (housewives). As in other European countries, the local religious orders also played a significant role in the evolution of brewing, and by the 11th century most beer was brewed by expert and professional brewmonks and brewnuns. As mediaeval society developed, followed by the industrial revolution, feudal lords couldn’t bear to miss out on the economic opportunity, and so established brewing operations in southern Germany. To the north, burgher merchants became the middlemen in monopolising the trade in ale. German lager has had a comparatively shorter history, although one that spans five centuries since the 1600s. Lagers were initially almost exclusively brown styles, while the crisp blond beer now famous as a German tradition has a localised history of only around 150 years. 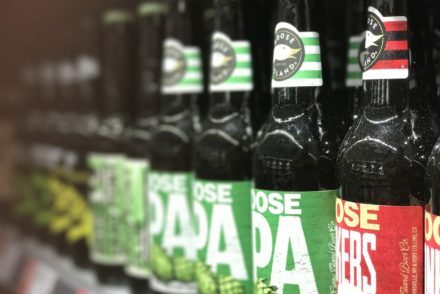 The proliference of pilsner that has become all pervasive around Germany is a recent phenomenon, having gained a foothold during the past 30 years. The German love affair with beer continues to this day, and German breweries produce approximately 100 million barrels of the amber liquid per year. On average, Germans drink around 40% more beer than Americans, and are closely behind the Czechs and Austrians in average consumption. 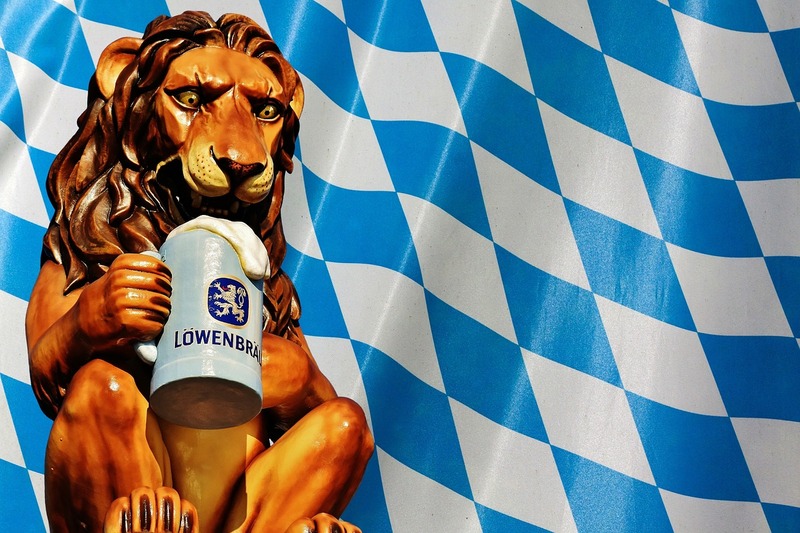 In 1516, at a time when consumer protection laws hadn’t even been considered anywhere in the world, Bavaria introduced Reinheitsgebot, a law that governed beer quality while guaranteeing wheat crop production for bread making. It was decreed that beer could be brewed with three ingredients only – water, barley and hops. The law came about in part to protect beer drinkers (most of the population) from the dangers of poor sanitation. 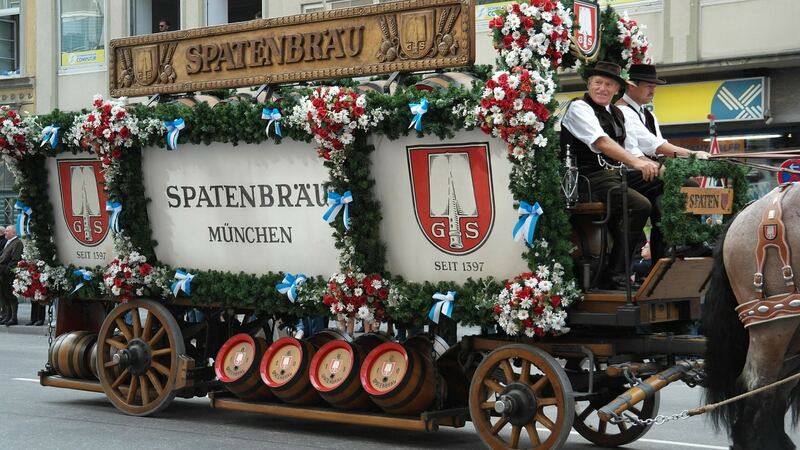 Bavaria and Germany unified in 1871 and Reinheitsgebot was enforced throughout the country to ensure consistency of beer and stop brewers using other ingredients. In the 19th century yeast was discovered as a fermenting agent and the law amended to include this new ingredient. Further accommodations took place in 1993 allowing varieties of malt and sugar to be incorporated. Although the law has adapted over time to allow change, synthetic chemicals and processed compounds are still strictly forbidden in German brewing. 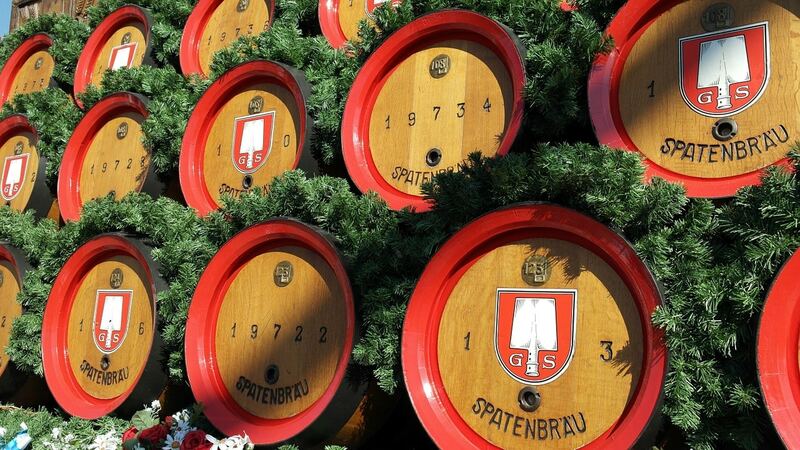 The traditional law is still held in high regard as a sign of highest quality German beer brewing, and close to 5,000 beer varieties carry its seal. 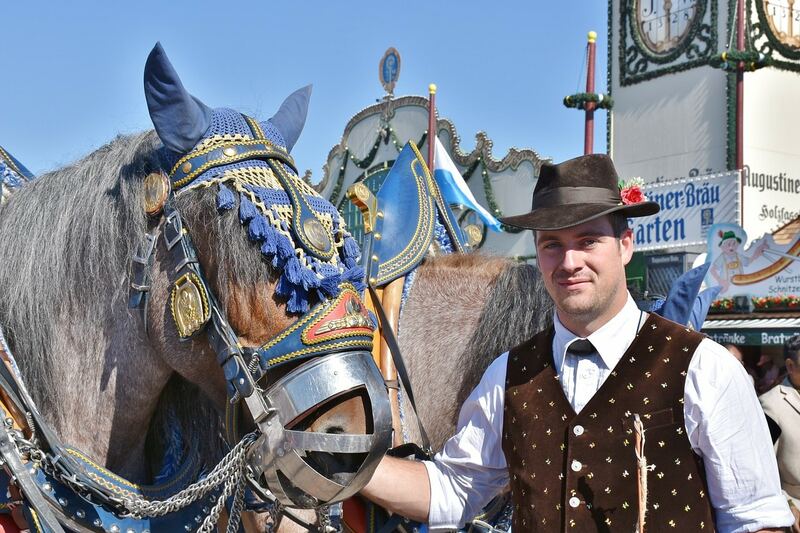 The German beer industry is justifiably proud of its traditions, and has applied with UNESCO for World Heritage status of the Reinheitsgebot law as a tradition worth enshrining. 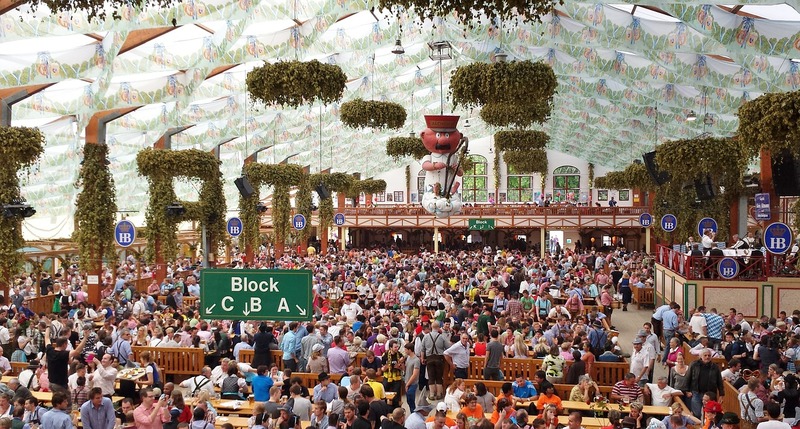 German beers contain high levels of proteins that result in a foamy, long-lasting head. In order to contain the high-rising head the beer is poured into tall glasses. The quality and cleanliness of glassware needs to be impeccable, as any residual detergent or foreign objects can impede the foam from forming. When pouring a German beer, tilt the glass at a 45 degree angle, allowing half the beer to cascade down the inside before finishing the pour into the middle of the brew with the glass held upright. 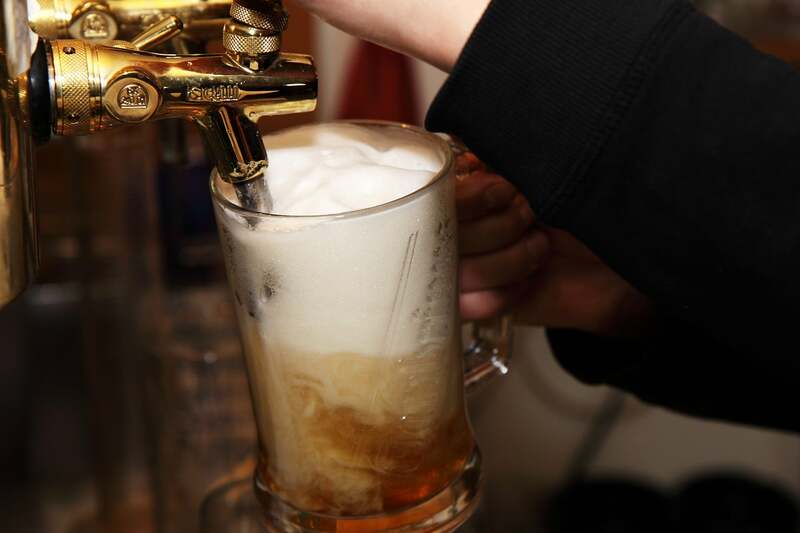 This method guarantees the perfect carbonation and a thick, foamy head. By the dawn of the 21st century, lager had become the most popular beer style in Germany, with numerous varieties of bottom-fermented beers available. Of all the lagers, pilsners are extremely popular varieties that originated in Pilsen, a Bohemian city that has become part of the Czech Republic. The pilsner style adopted by German breweries is faithful to the traditions, with a refreshing and crisp bite that is best served cold. Those preferring a lager with stronger taste and abv often opt for a bock. These are full bodied yet low in bitterness, and have a malty-sweet taste. Doppelbock has a stronger alcohol content, and eisbock is even stronger. Popular varieties of lager worth sampling include Lowenbrau, Oettinger, Hofbrauhaus and Bitburger Premium Beer. The tradition of ale brewing in Germany existed for centuries prior to the discovery of yeast and the brewing of lagers. Many popular regional varieties exist, including kolsch, which can only be legally brewed within Cologne. Kolsch is fermented at cooler temperatures than other ales, resulting in a delicate and light fruity flavour. Hoppier versions include malzmuhle, sion kolsch, paffgen, gilden and muhlenkolsch. An alternative and unique taste sensation is altbier, brewed in Dusseldorf and employing extremely cool fermentation which gives it a host of flavours for the palate, including a rich nutty malted base along with a spicy floral bitterness. Germany remains justifiably proud of its wheat beer, unlike other nations where wheat beer is relegated to a background support role. This classic style of brewing has its German roots in 16th century Bavaria, and Hefeweizen is among the most popular and distinctive brands. It’s cloudy appearance is coupled with a heady clove-like taste and aroma. Dunkelweizen (dark wheat) beer is richly flavoured, with some connoisseurs comparing the taste to banana bread. A stronger more formidable variety of wheat beer is weizenbock, which is similar in strength to bock, with an intense flavour to match. Germans are very aware of the distinct beer styles and varieties found all around the country. Often, when ordering a beer, Germans ask for it by style designation (such as Pils, Alt, Kolsch or Weissbier) rather than by brand name. 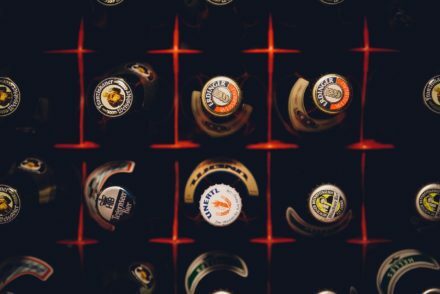 Depending on the means of classification, there are between two and five dozen beer styles in Germany, and newcomers to German drinking traditions often prefer to play it safe by ordering the more familiar varieties. Apart from pilsner, which is popular all over Germany, many styles have their strongest following in their traditional homelands, although most are available elsewhere also. Malty kellerbier, for example, is a well-known speciality around Franconia in northern Bavaria, but is less readily available nearer to the Atlantic and Baltic coastlines. Kolsch is the most popular beer in Cologne, and altbier is the favourite around Dusseldorf, but both are much scarcer in southern Bavaria. Conversely, Weissbier, with a one-third market share in Bavaria is only supported by around 10% of beer drinkers in the rest of Germany. With a long and previously disjointed history of beer brewing in Germany, it comes as no surprise that different parts of the country forged different brewing paths. What is surprising is the degree of regional support that exists to this very day. As a rough guide, it can be said that German beers become maltier as you travel from north to south. Heading in the other direction, from south to north, you will probably find the beers taste hoppier the farther you travel. Of all the German beer brewing regions, Bavaria has spawned the greatest variety of styles, with colours ranging from blond to almost black, and strengths that are suited to guzzling or sipping. Neighbouring Bohemia, under Bavarian influence, introduced the world to the most popular of all beer styles, the pilsner, known as the mother of all modern lagers. Rhineland is another very well-known German brewing homeland, and has become the unofficial custodian of the ancient ale brewing traditions. Unlike the United States, German brewing didn’t have to struggle against prohibition. As a result, there are not as many stringent regulations as those prevailing in the USA. On the other hand, German beer manufacturers have self-regulated the industry by aspiring to produce the best product possible for the consumer. 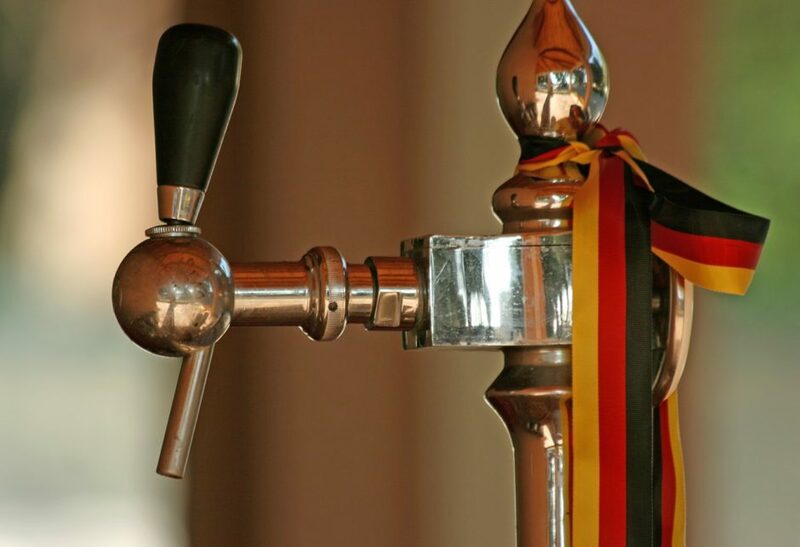 In Germany there are no state-run beverage distribution systems or tiered licensing and wholesaling protocols that separate distributors from retailers. In other words, anybody in the beer trading chain can sell beer directly to the public, or even make “house calls”. Beer is treated like any other food product and is available almost everywhere; from supermarkets, gas stations, news-agencies and can even be purchased from vending machines. 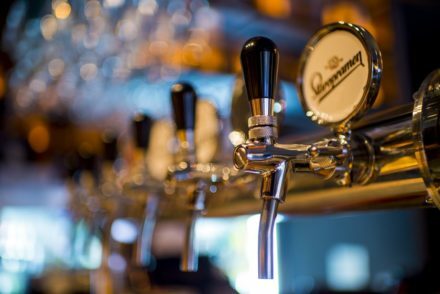 The majority of pubs and restaurants in Germany enter into a reciprocal agreement with individual (often local) breweries, and serve only the brands of that supplier. In turn, the brewery usually supplies the glasses, trays, taps, and sometimes the entire establishment’s furnishings. Fortunately, every brewery produces a range of beer styles, and although your brand options will be limited according to your chosen drinking establishment, the full spectrum of tastes and flavours will be available to satisfy just about any beer preference. As in other German industries, beer making relies heavily on quality raw materials, faultless technique, and centuries of innovation that have resulted in the quality product enjoyed around the world today.